Kelowna Bobcat Services - A.G Appel Enterprises Ltd.
Our staff at A.G Appel is highly skilled and knowledgable. They have the experience and the resources to get all your Residential Projects done. Whether you need to dig a foundation or prep for your final landscaping projects, and every job in between. We aim to give you the quality work and excellent customer service that A.G Appel has been known for, for over 40 years. 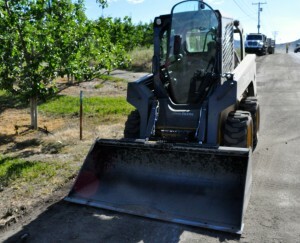 We are your Kelowna bobcat services specialists. Not sure where to start? Contact Us to speak to one of our experts to help you with your all your Kelowna bobcat services.